Danny Kack : President of the company Expertises technico-légales Danny Kack since 2002. Mr Kack own’s Bachelor’s degree in Electrical Engineering (B.Eng.) (1988), a Certificate in marketing (1993) both obtained McGill University, as well as a Master’s degree in Engineering (M.Eng.) (1998) at the École de technologie supérieure (ETS). Mr. Kack has more than 27 years of experience as an engineer in industrial societies and engineering consultants. He began his career in a manufacturing firm and was involved in large-scale projects in several engineering fields such as construction, electrical and mechanical systems, applicable codes, standards and upgrades. He acquired an experience in supervising large-scale and impactful projects in several legal engineering fields. Since 1998, he presented several training seminars to claim adjusters, insurers, firefighters and lawyers referring to the NFPA 921 – Guide for Fire & Explosion Investigations. His passion and devotion leaded him to become the author of: “Protection and coordination of electrical distribution systems and networks”. Since 1992, he was promoted as the technical director in the industrial sector. From 1992 to 1995, he realized several development plans and established a variety of industrial relations. In 1996, he joined a consulting firm in the field of forensic engineering and provided services for the insurance industry for cases of fires, electrical and mechanical breakdown failures. Since 1996, he realized several mandates for manufacturers, contractors and the insurance industry in forensic engineering. 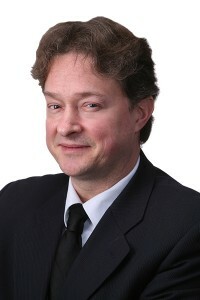 He founded the company Expertises technico-légales Danny Kack in 2002. Always concerned about his clientele’s satisfaction, Mr. Kack developed a high level of forensic expertise on mandates implicating electrical, mechanical, applicable codes, standards and upgrades in construction. He completed his Master’s degree while he was still in the workplace. He realized over 1800 cases in the legal engineering field for the insurance industry. He is well-known as an expert witness on trialed litigations in both civil and criminal Courts. He is constantly at the leading edge of technology by his implication in continuing education in order to improve the quality of his services to insure the company’s strategic development. As the president of Expertises technico-légales Danny Kack, Mr. Kack achieved numerous on-field investigations (buildings, upgrades in standards, etc.) and submitted several forensic reports on large-scale case studies. He is also in charge of analyzing various complex accidents related to several engineering fields and performs laboratory analysis to understand each step of the occurred accident. Mr. Kack had been involved in large-scale cases such as : Isle-Verte fire tragedy, Lac-Mégantic rail disaster and Québec legionnaires’ outbreak. Mr Kack is a member of the Ordre des Ingénieurs du Quebec and is a member of “National Association of Fire Investigators” (NAFI) and of “International Association of Arson Investigators” (IAAI). He is certified as a CFEI (Certified Fire and Explosion Investigator) and CVFI (Certified Vehicule Fire Investigator).